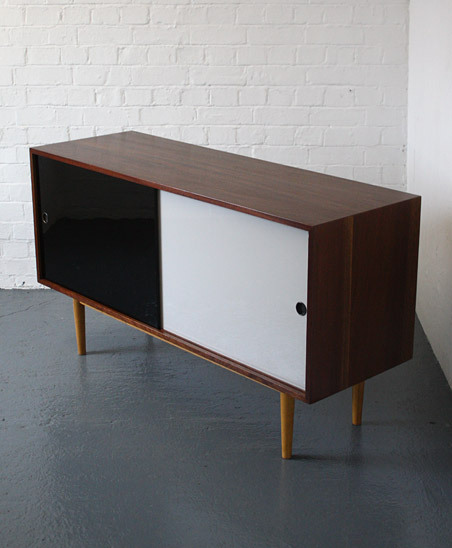 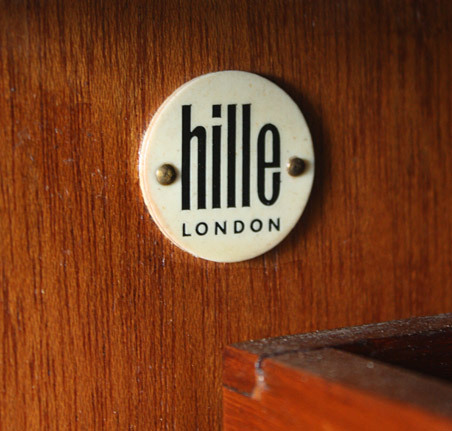 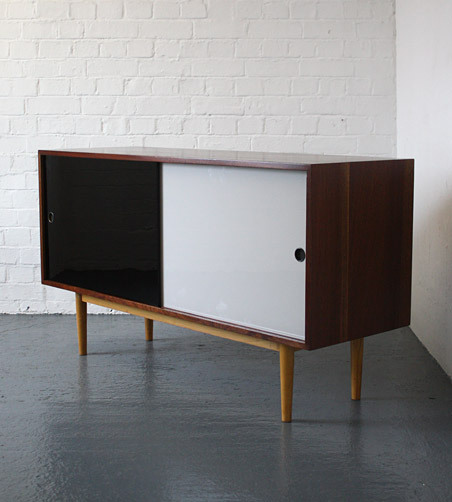 Interplan sideboard designed by Robin Day in 1954 for Hille. 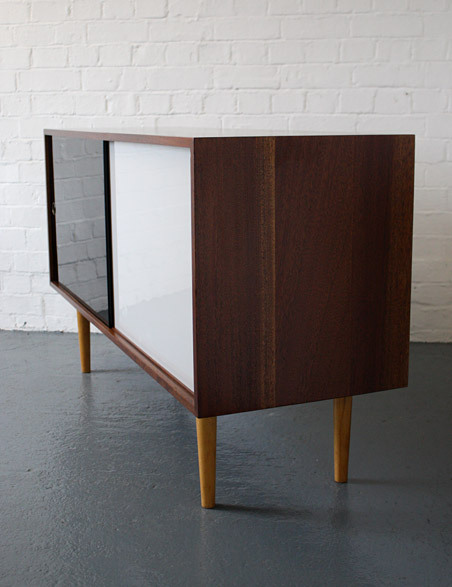 Mahogany case with contrasting beech legs and sliding Vitrolite glass doors in black and white. 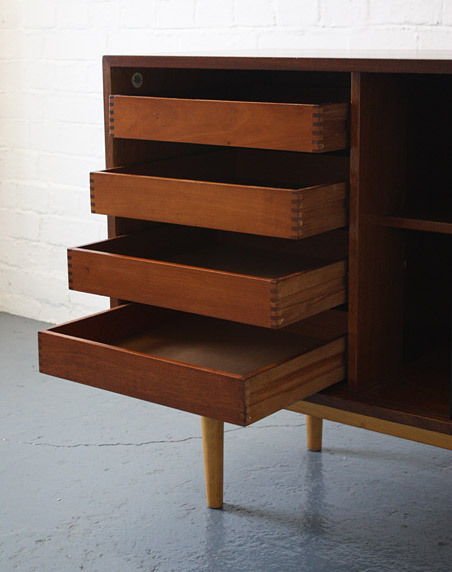 Inside there are four wooden drawers on one side and the other has an adjustable shelf. 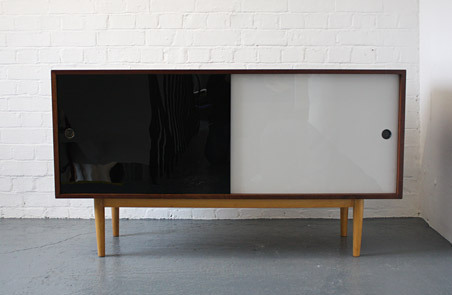 In excellent repolished condition. 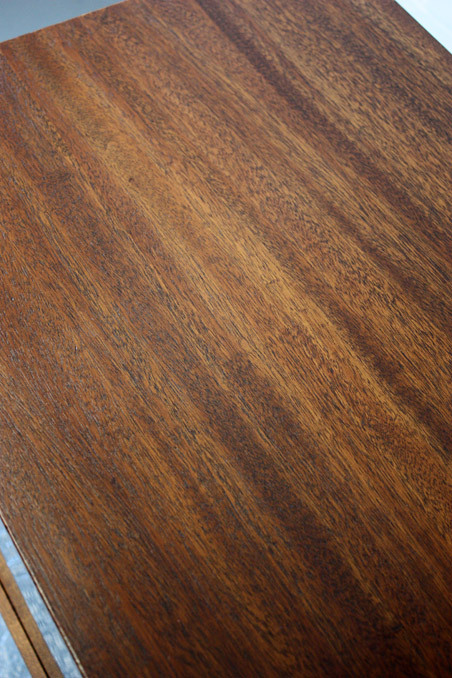 The white door has a very small chip to one edge. 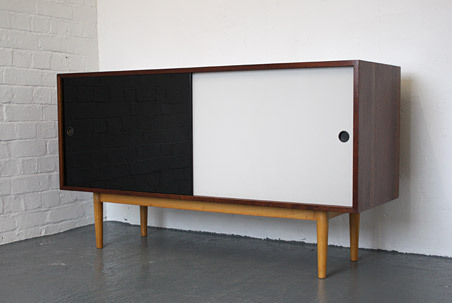 Dimensions: 137cm long x 76cm high x 45cm deep.